Congrats girls!!! Come to Landis and claim your prizes!!! Don’t forget vote everyday once a day for FSU in the Collegiate Showdown!!! Collegiate Showdown LAST Question of the Day!! When West Virginia won the 2010 Collegiate Showdown Party, what rapper performed on their campus? We will announce the winners at 12pm! Get your answers in ladies!! We will see you all on Landis for our Spring Break Hangover Party!!! Collegiate Showdown Question of the Day!! This ones a little tough ladies…. What round did FSU make it to last year??? See you on Landis for our Spring Break Hangover Party!!! Vote for FSU in the Collegiate Showdown, enjoy some fun in the sun with your Campus Reps and receive FREE Goodies!! Where do you go to vote for Florida State for the Collegiate Showdown? Want a chance to win a FREE Spring Break Essentials Bag?? Of course you do!!! All you have to do is answer the Collegiate Showdown Question of the Day correctly here on our blog and BAM! Free stuff. Sounds easy enough. Well it is! Then show up to our Party on Landis and we’ll prepare for you all this years awesome parties and events to come. Be sure to follow us on Twitter to get all the latest updates. 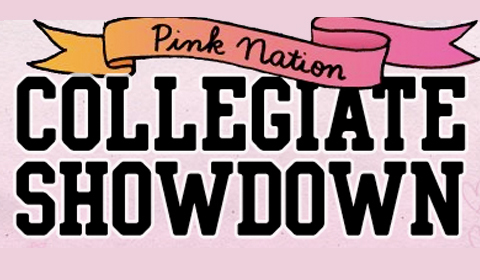 Check PinkNation.com for all the latest info on the Collegiate Showdown. 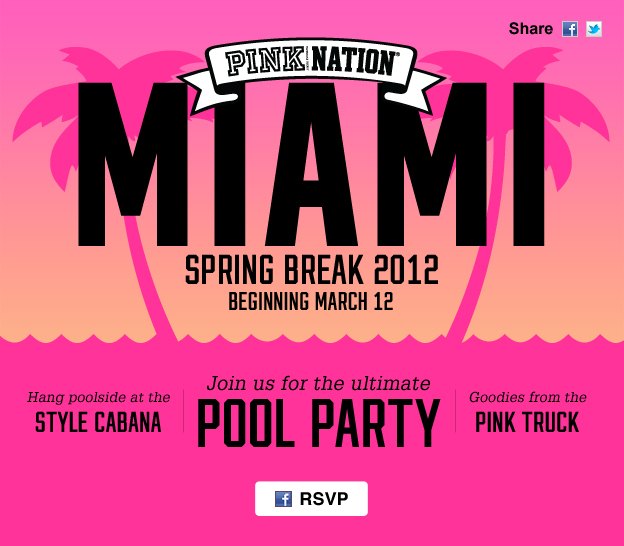 Starting Friday at 10 AM voting begins for the hottest party of the year on FSU’s Campus sponsored by PINK. So do your part and VOTE VOTE VOTE! ……BUT First things first, follow us on twitter and answer the Collegiate showdown Question of the Day, then we will see you Friday on Landis Green for a fun day in the sun!